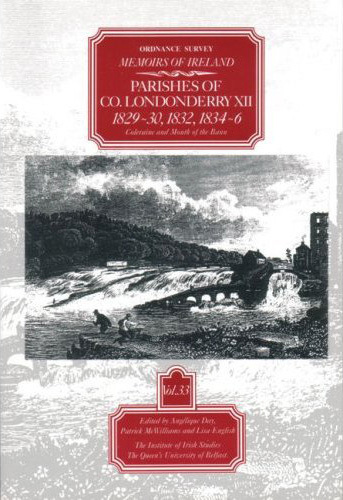 Ordnance Survey Memoirs of Ireland, Vol 33: County Londonderry XII. This volume contains the Memoirs for four parishes in the north-east of the country, including the major centre of Coleraine and towns of Portrush and Portstewart, as well as the mouth of the Bann. We see a landscape dotted with gentlemen's seats, mills and remains of antiquity, while the towns present a large number of public buildings and impressive streets. The material paints a wonderful picture of economic life in this costal area, where the people enjoyed a high degree of prosperity, evidenced by the building of a new harbour at Portrush and the consequent influx of shipping. A variety of trades and occupations also testifies to the vibrant nature of this region.